My 8 year old loves Tandori chicken. 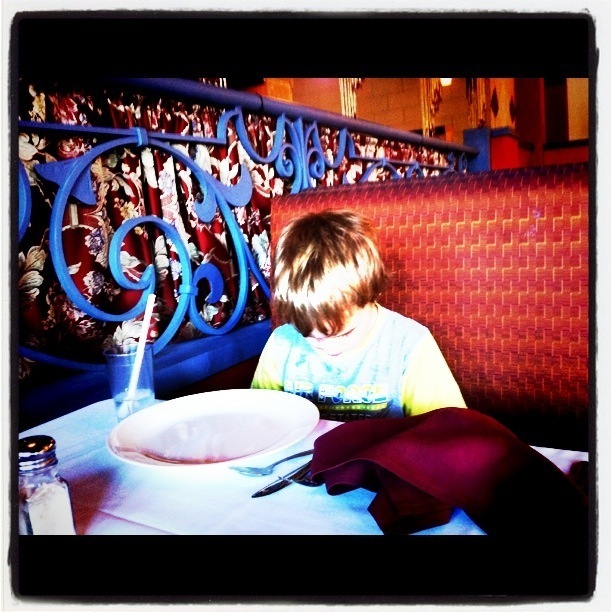 His brother hates Indian food, the rest of us love it, or at least tolerate it. The “hater” was off eating pizza with friends, so the rest of us visited Restaurant.com and landed on India House (758 Grand Avenue, St Paul, MN 55105). Bland and greasy. I didn’t even know it was possible to do that to a curry. If we’d had more time, we’d have gone to India Palace in Roseville (2570 Cleveland Avenue North). I know you are a St. Paul girl but one of my favorite places to go in Minneapolis is Namaste Cafe in Uptown. The food at Namaste Café is mostly inspired by South-Asian cuisine. The menu features some traditional favorites such as the Mamacha from Nepal and Paapri Chaat from India. Many offerings however are their own creations. I love their Chai Tea. I think they have been in the Best of the Twin Cities. ← The University Avenue Project: How many places can YOU visit?